Made by Japanese self-taught artist Jiro Miura cling rings are, in fact, miniature sculptures of animals. Japanese designer and artist of applied art Jiro Miura has created a stunning gallery of pieces of jewelry. 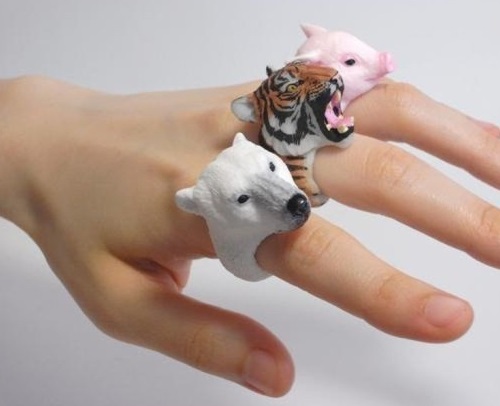 These cling rings are made in the form of various animals. The artist couldn’t even imagine these animal rings and earrings would become so popular that he would have to create his own brand name – ‘Count Blue’, under which he works now. The price for such artful pieces of jewelry is quite affordable ranging from $15 to $200 for one ring. Metal art by Junko Mori resembles delicate glass creations in the Art Nouveau style. Japanese artist Junko Mori was born in Yokohama, Japan in 1974. She graduated from the University of Arts in Tokyo in 1997 and defended her bachelor’s degree in three-dimensional design. Mori then worked as a welder at the plant for one year. From 1998 to 2000 she studied at the Camberwell College of Art in London, where she received her second bachelor’s degree. The artist’s statement – “The uncontrollable beauty is the core of my concept”. 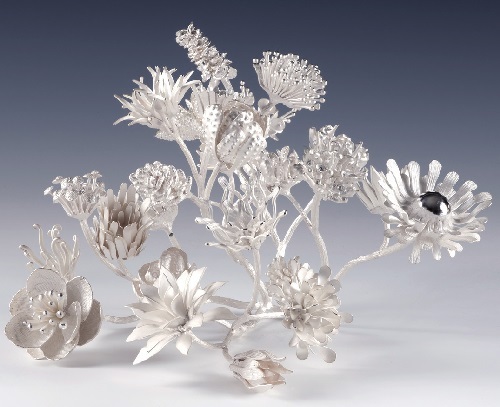 The assembling of forged and cast metal is the key to Junko Mori’s work, whether mild steel or almost pure silver. Her observations of tree and plant matter are the driving force behind many of her sculptures which vary in scale from small objects in precious metal through to fairly massive welded steel works of art. 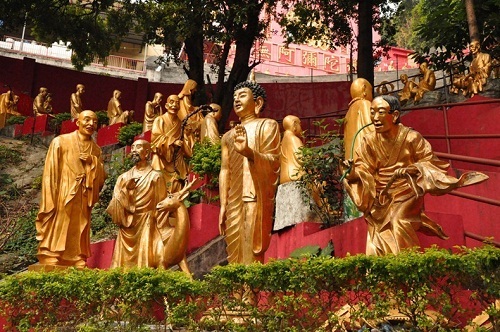 These uncountable Buddha sculptures stretch for as far as the eye can see. In fact, there are 8,000 of them in all and each and every one has been painstakingly carved from dead jujube trees. Varying in height from 1m to 1.5m, they have been put on display in Zhengzhou, China, before being moved to the Ten Thousand Buddha Garden. Budd you believe it! In fact, Buddhism is a spiritual tradition that focuses on personal spiritual development and the attainment of a deep insight into the true nature of life. Besides, Buddhism teaches that all life is interconnected, so compassion is natural and important.